Dr. Kendall Foley obtained her Doctorate of Veterinary Medicine from Auburn University in 2016. 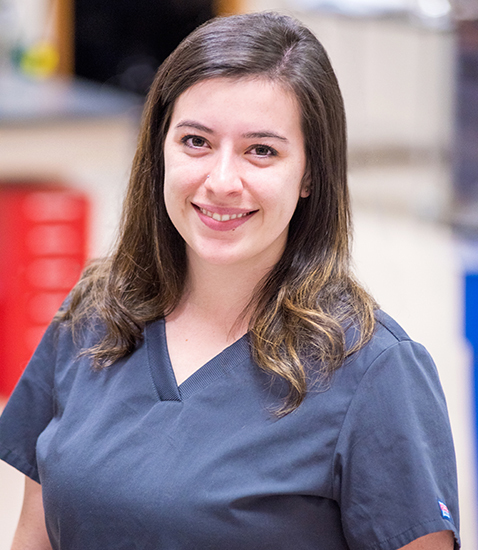 Following graduation, she completed a Small Animal Rotating Internship at Bluegrass Veterinary Specialists + Animal Emergency. She went on to work as an Associate Veterinarian and during this time, Dr. Foley focused both on emergency medicine as well as integrative medicine; prescribing and performing acupuncture, laser, and hyperbaric oxygen therapy treatments. Now a member of Care Center’s Emergency department, her priority is excellent patient care, and treating each patient as if they were her own. When she is away from the hospital, Dr. Foley enjoys spending time with her husband, their six pets, and activities such as yoga, gardening, baking and photography.